Here's an excellent behind-the-scenes video, showcasing the awesome filmmaking talents of Bryan Ryan--the writer and director of the short horror film, The Guest. 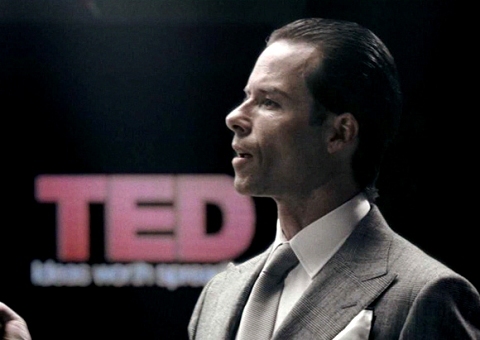 The video features Bryan in action on the set, the actors and crew talking about their experiences, as well as comments from Bryan himself. I could say more, but I'll just let the video speak for itself. It's great! Check it out! 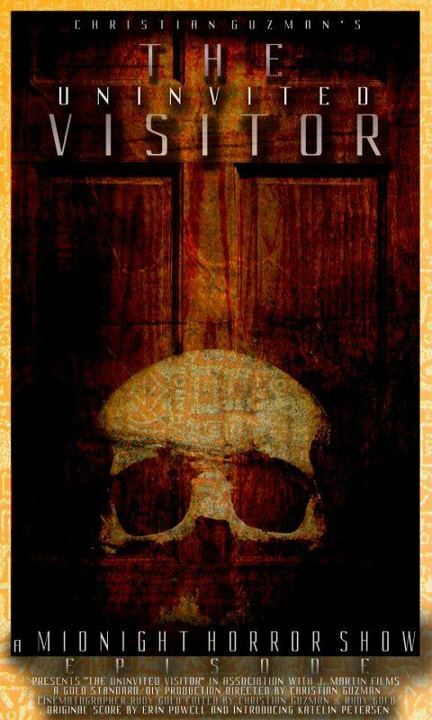 The entire short film, The Guest, is featured here on Space Jockey Reviews. If you haven't seen it yet, check out the film and my complete review by clicking here! Trust me; this is one you won't want to miss! VANESSA MORGAN, author of Drowned Sorrow and The Strangers Outside, has just released her latest screenplay – A Good Man. If you like Dexter and American Psycho, chances are you will love A Good Man. Louis Caron is a good man – vegetarian, he feeds the homeless, takes care of animals and is concerned with the ecological future of the planet. But his altruism has a sinister edge – he’s a vampire – and local detective Taglioni is becoming increasingly suspicious. Louis’ attempt to escape the police will take him on a journey into his own private hell where he is not only forced to confront his worst fears, but also to destroy the lives of those he cares about most. 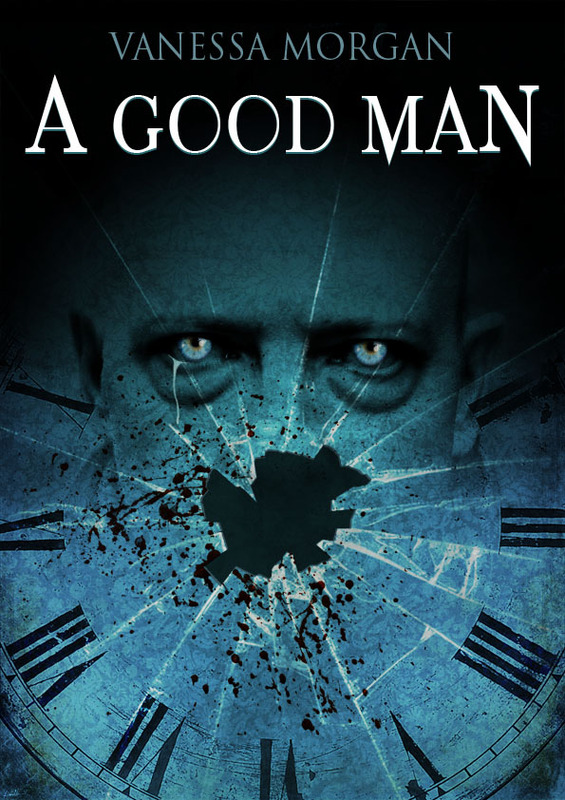 A Good Man is currently in pre-production with Radowski Films! I really look forward to seeing on the big screen. With Vanessa’s talent as a writer, and her creative vision, I have great expectations for the movie. A full review is already scheduled on the Space Jockey launch pad. Stay tuned for more details and updates about A Good Man. I’ll be sure to keep you posted! 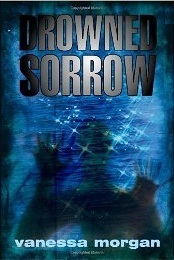 “When Vanessa Morgan’s first novel of supernatural suspense, Drowned Sorrow, came out in 2009, critics all over the world praised her as the ‘female version of Stephen King’. 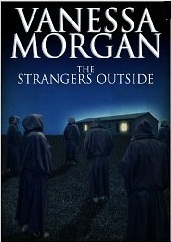 In 2010 followed a short YA story: The Strangers Outside. Both books quickly became Amazon bestsellers and are currently being turned into movies. Suko’s Notebook called her writing “Everything horror fiction should be: creepy, scary, suspenseful, and yet also touching”, horror director Lucky McKee said Vanessa is “a startling new voice in horror,” and author Scott Nicholson has hailed her as a “talent of pacing and spookiness”. Vanessa Morgan was born May 24, 1975 in Vilvoorde, Belgium. 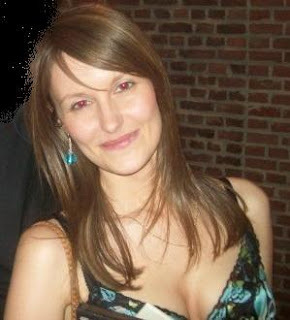 She graduated from Vrije Universiteit Brussel, and she first worked as a freelance journalist, a language teacher and a pet supply store manager, before becoming a full-time writer. Her native language is Dutch, but she loves to write in other languages such as English and French. Vanessa Morgan lives in Brussels, Belgium, where she is currently at work on a comic book series starring her beloved cat Avalon.” Check out her website for the Avalon comic book series at avalon-lion.blogspot.com. Well, that sure is a lot of good stuff said about Vanessa and her talents as a writer! If possible, I’ll be interviewing her in the future to find out what interesting things she has to say. Besides, I have more than a few good questions to ask, as well! Megan Blackwood has lost her son in a terrible accident. Now she has come to Moonlight Creek with her teenage daughter Jenna, hoping that a change of scenery might help to put her life back together. But something odd is happening in Moonlight Creek. Something that has given water a life of its own so that it can now move, think… and kill. When Megan realizes that her daughter’s life is in danger, it might already be too late. Two sisters, Jennifer and Louise, return to their remote holiday cottage after a day at the seaside. But little do they know they’re being surrounded. Soon after their arrival the girls will come face to face with THE STRANGERS OUTSIDE. When the assailants make their intentions known, things take a shockingly terrible turn and an intense battle for survival will begin. 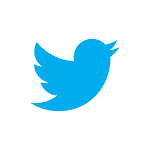 Follow Vanessa on Twitter by clicking here! Visit Vanessa’s Facebook page by clicking here! As Trespasser begins, an alarm clock wakes a man in bed. He could be any man, but soon we feel and see that he is not; quickly he becomes not only a stranger but something far worse. Flashbacks and scenes from the moment tell a grim tale of something terribly wrong—of something getting even worse. If I went on, I’d ruin the impact of a most effective short film, and, of course, I never like to do that. I’ll only say that this man is a monster. Trespasser is a short film that includes, as its main character, a generic man who could be anyone—the man next door, the man who teaches our children, the man who defends our case in court, ad infinitum. He is methodical, apathetic, and cold, without concern for anything in his environment—other than what he needs for himself. People are as disposable as trash—their bodies like useless packaging, after the product is consumed. Human suffering is dispensed with purpose, as a routine, but never felt. Already, I’ve explained the reason that Trespasser is so effective as a horror film, be it short or long. It’s art imitating the worst things in life. However, there is another element in this film that chills the marrow of even those most resistant. I’ll only say that a child is involved. Combining that with what I’ve already described should be more than enough to make the point. Matt Fowler, the actor who plays the psycho, does it with creepy authenticity, as well as it could be done by anyone—even the best stars out there. Although it may not take as much effort to portray someone with no emotions, in a silent role, for little more than three minutes, Matt certainly puts forth the effort and shows true talent. For this, he gets a ten-rocket salute! Matt's detached, unaffected appearance is chilling! Katy Rowe also does a convincing job of portraying the tortured and terrorized victim. As minimal as her role is, it is necessary and well done; she is the girl next door, the one we all know, and just like someone we all love. I can only imagine that terrorized victims act as much like her; the fear on Katy’s face in the closing scenes looks real, fooling my imagination into believing it is. Trespasser is another outstanding short film written and directed by Bryan Ryan. (Bryan also directed The Guest, also featured here on Space Jockey Reviews.) Trespasser, like The Guest, showcases Bryan’s ability to captivate an audience quickly, delivering a distilled but ever-potent dose of fear in record time. No, he’s not the first to do a film on this subject, of course. However, he pulls it off here as well as I’ve seen it done, in a fraction of the time it usually takes. Trespass was shot and edited by Brian Smith. Scenes flow smoothly, easily followed, with flashbacks that connect without confusion; scenes linger on the moments, giving (if not forcing) the viewer to think about what is happening. Dwayne Cathey’s score is brooding and ominous, reflecting the dreamy, out-of-touch mind of the killer; Kelsey Boutte’s special effects make Katy Rowe look convincing as the victim, in anything but a dream. All in all, the production team works well to create a film that fits all elements together successfully to achieve its effect. Some of the most chilling scenes in Trespass occur as the credits roll. In the end, the viewer is a witness to the killer’s recorded events, making things even more horrific. Just when you think it’s over, it’s not; visuals are added at just the right moment to heighten the effect and make it stick. Yes, Trespasser is a movie that hangs with you long after it’s over, even if you try to shake it off. Why does Trespasser stick with you? Again, it’s because it’s about reality—what happens everyday, somewhere, and what could also happen, at any time, to us. The killer has no name, but his anonymity makes him all the more horrific; he could be anyone and everyone. Trespasser reminds us, as a warning, that we, or our loved ones, with just the right mistake, could be his next victim. What greater horror is there? I say none. Real horror is what reminds of what could happen to ourselves, and Trespasser reminds us of that from beginning to end. To watch the entire short film, click here! VIEWER DISCRETION IS ADVISED! Alyshia Ochse is at the top of my list of favorite actresses. Her rocket-fueled performance in The Guest—featured here on Space Jockey Reviews—is all I need to show anyone the reasons. Alyshia plays her role in the most natural way, fooling even our right brain into the fiction we’re watching. As Dana—the temporary hostage in The Guest—Alyshia’s performance is flawless, showing a range of character and emotions that make the film the success it is. She transforms a scared and vulnerable girl next door into a crazed killer, with all the malevolence and ill will in the best femme fatales out there! What’s more is that Alyshia does this all in just over 14 minutes! The meek and tearful Dana becomes cold and calculating, with a psycho smile making the cliché unique. For this performance, Alyshia has my nomination for a short-film Oscar! Even the best special effects, directing, cinematography and the rest, without Alyshia, would leave The Guest lacking—like a guest without a host. Alyshia’s line “…don’t worry. 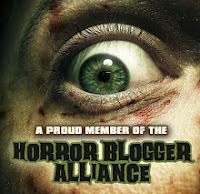 It’ll only hurt for a second,” is one I’ve already added to the list of Space Jockey Reviews’ favorite horror movie quotes. Hearing her say that alone is a must for horror fans; just make sure you’re under a cover or two when you do; it’s chilling regardless of the season! My Space Jockey helmet is officially off, saluting Alyshia Ochse as one out-of-this-world leading lady in a short horror film—and, trust me, this Space Jockey has seen quite a few! Alyshia’s acting resumé includes a long list of other features—all of which showcase her standout talent as an actress. She is, perhaps, best known for her role as Irina Cassadine in the soap opera General Hospital. For Alyshia’s complete filmography, check her IMDB page by clicking here. 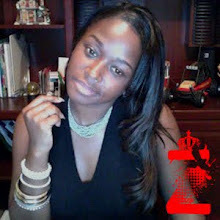 Alyshia also has her own film production company called S.L. Productions. I look forward to seeing what else she may produce—another horror film possibly? I’ll just keep my fingers crossed for that! If you haven’t seen The Guest yet, watch it below! VIEWER DISCRETION IS ADVISED! In Alyshia’s most recent role, she plays Trish Garrety in Stash House—a new movie also starring Dolf Lundgren, Briana Evigan, Sean Faris, and Jon Huertas. It’s about a couple who find illegal drugs stashed in the walls of their newly-bought dream home. Soon, they discover that the house is hiding more than drugs! Hmmm. I wonder what that could be? I’m not telling, no matter how many gun-wielding, revenge-hungry guys you send after me. Besides, I don’t know anyway. In the meantime, check out the trailer below, and make plans to see the movie! For an in-depth and very interesting interview with Alyshia Ochse on Dread Central, click here! To visit Alyshia’s Facebook page, click here! For her filmography on IMDB, click here! 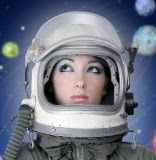 As the Space Jockeys travel the universe, they encounter many brilliant stars along the way. Some shine brighter than others–enough so to deserve a special place for all to see. Rachel Bright–the beautiful and talented star of Red Balloon (featured here on Space Jockey Reviews)–is one such beacon of light. Her performance in Red Balloon alone shows acting ability that is natural, real, and believable. In Red Ballon, Rachel turns a stereotypic babysitter into a character who is original and unique, yet familiar enough that we care about her–all in less than thirteen minutes! Rachel’s resumé, of course, includes far more than her part as the babysitting teen in Red Balloon. She is, perhaps, best known for her performance as Poppy Meadow in the British soap opera, EastEnders. However, regardless of her role, she always seems to live it, rather than act it out. 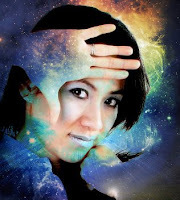 It is for this reason that Rachel is showcased in the first of a series of posts highlighting the best and brightest of stars found earthbound and beyond. Watch Rachel’s showreel below, and you’ll see for yourself why her future, as well as her name, is truly Bright! To see Rachel's complete filmography on IMDB, click here! If you haven’t yet seen Red Balloon, click here to see the whole thirteen-minute film! It’s at the top of the "Short Films" page, on my website. Don’t miss it!